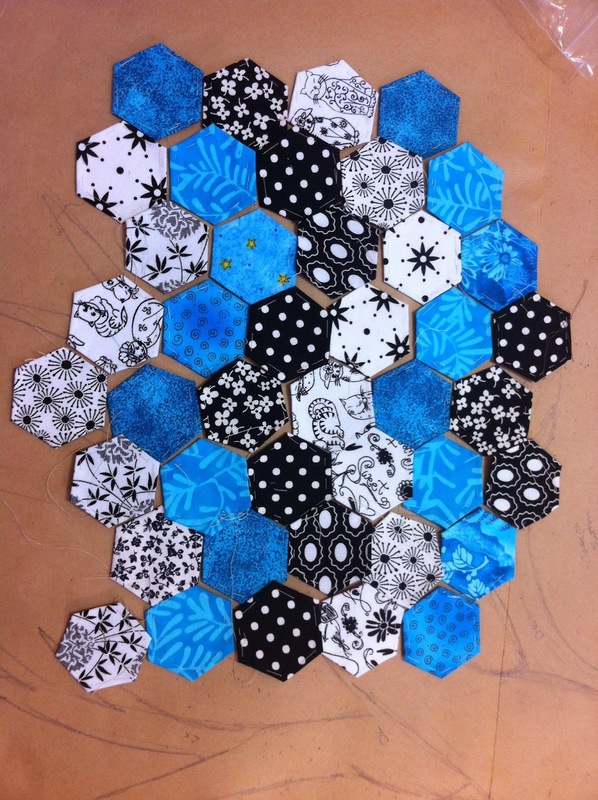 Magpie Quilts: Progress on the hexies! 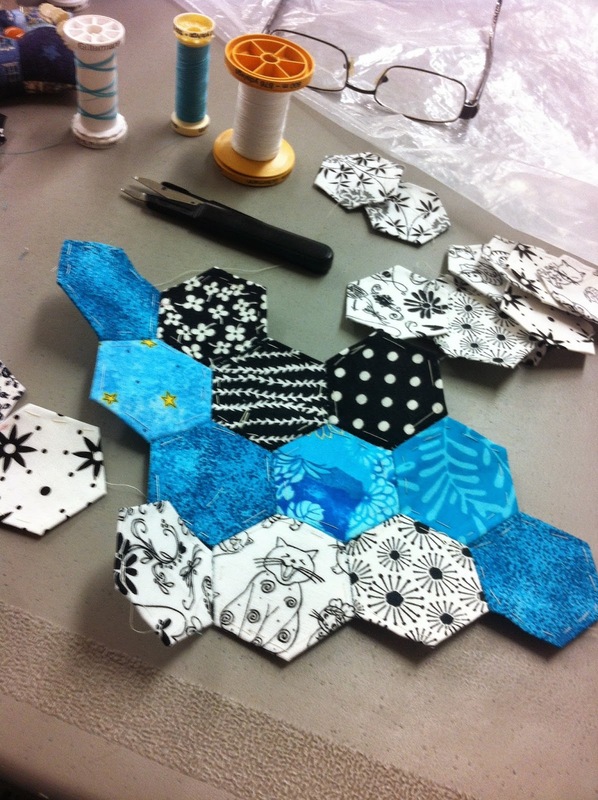 I think I have enough paper pieced hexagons to finish the project I have in mind, so here's a little update! I am slowly stitching hexies! These will eventually be a tea cozy - not sure when you will see a finished project, but there is some slow progress!